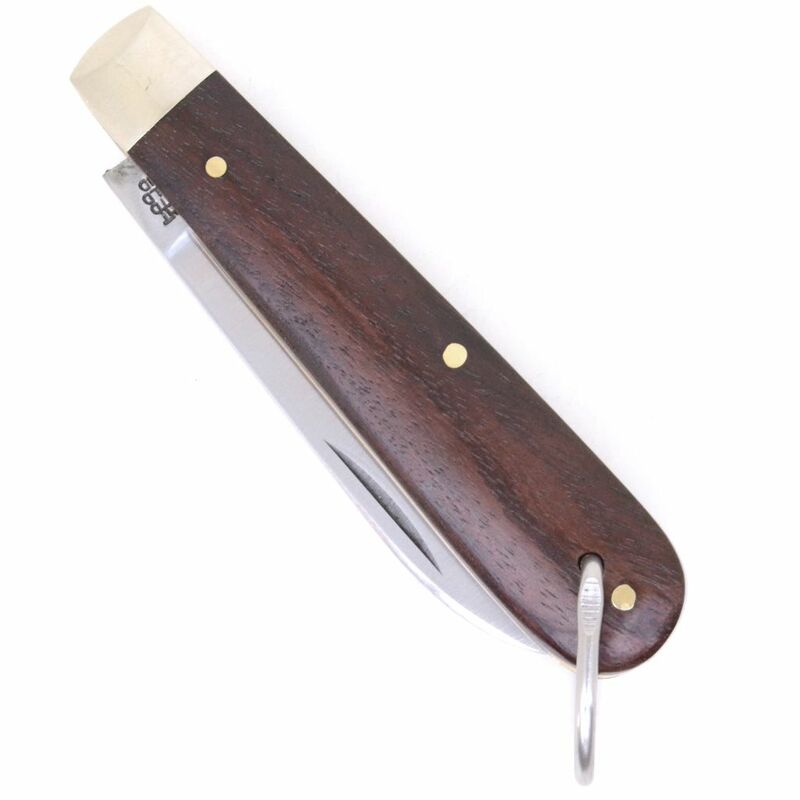 Shop and buy this A. Wright Sheffield, folding pocket penknife, 40W. 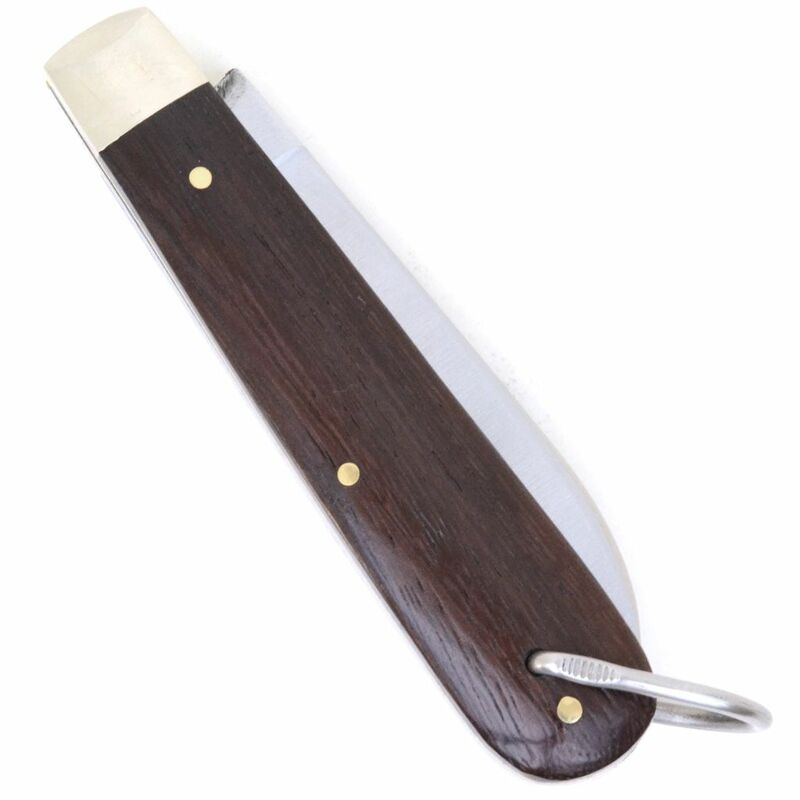 7.1 cm (2.8 inches), flat grind, spear point, C70 carbon steel blade. 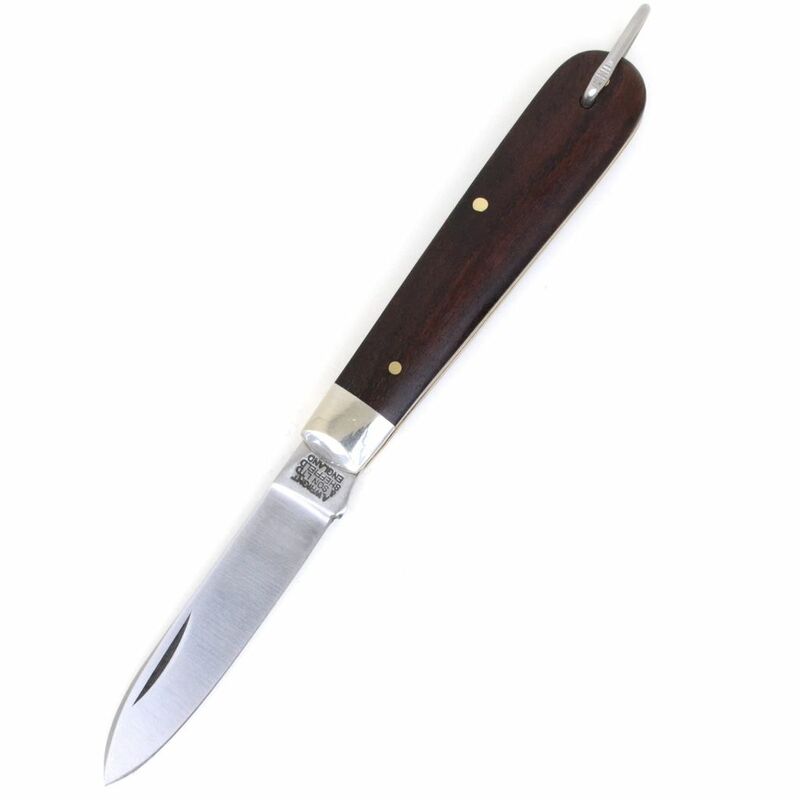 Brass handle liners, nickel silver bolsters, rosewood handle scales, lanyard bail, hand made in Sheffield. 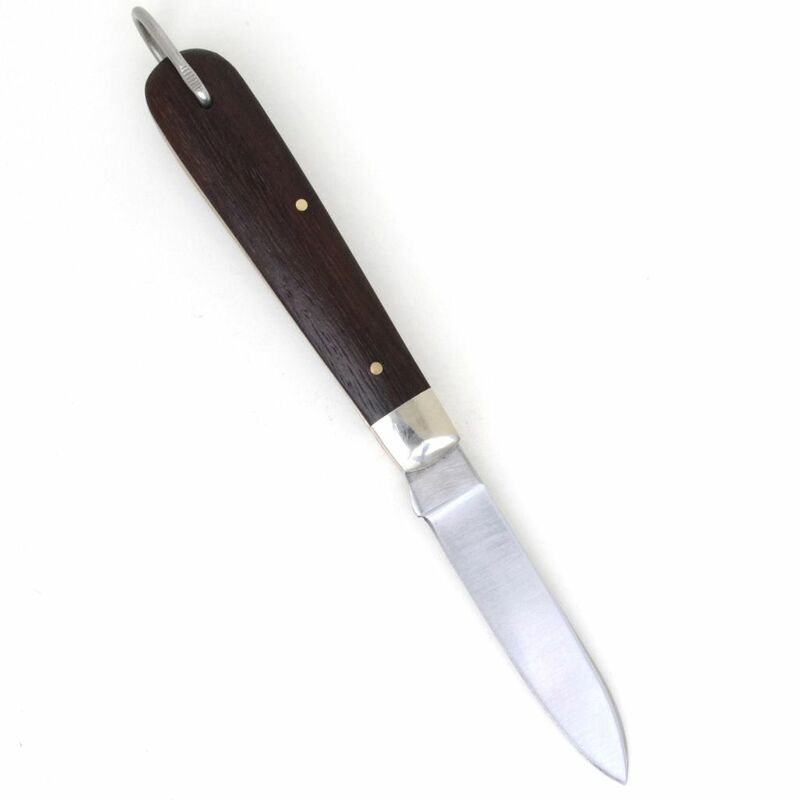 Note: carbon steel knives should be cleaned and oiled after use to prevent corrosion. Natural wood grain contains lines and grooves, this is not a fault. 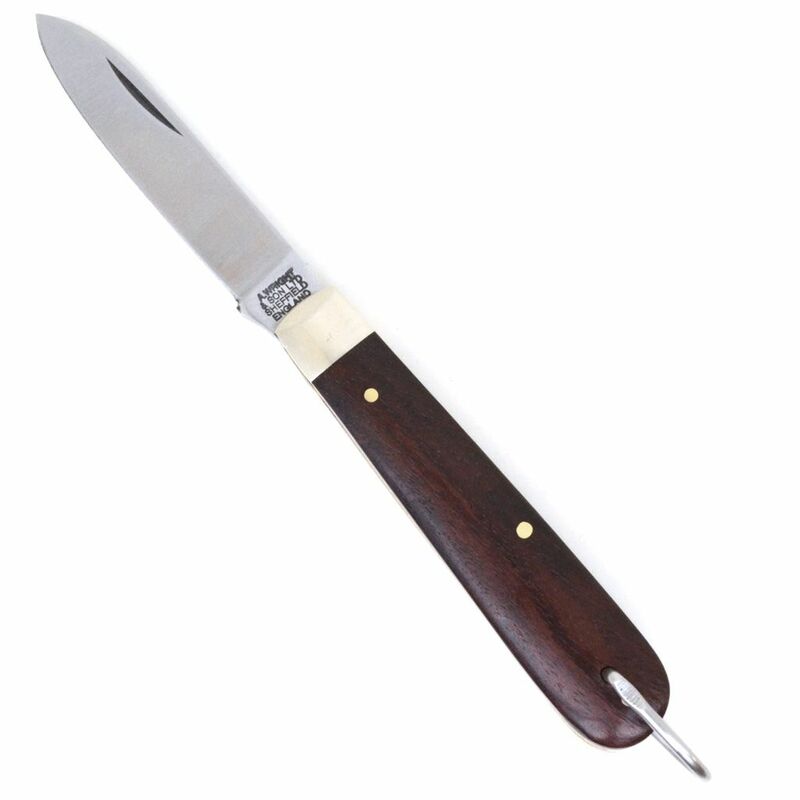 A. Wright folding knives have a very strong backspring when new.